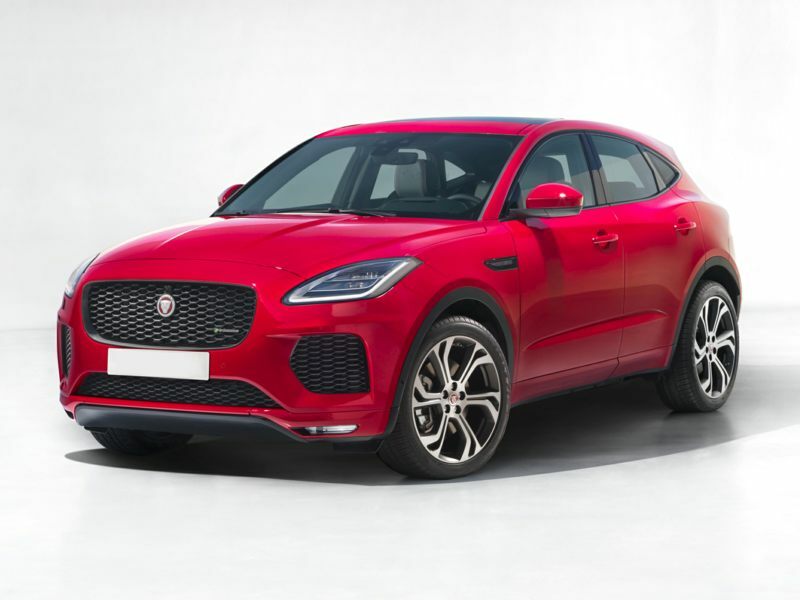 The 2019 Jaguar E-PACE is a 4-door, 5-seat Sport Utility, available in 6 trims, ranging from the Base to the R-Dynamic HSE. Upon introduction, the $38,600 Base is equipped with a standard 2.0L, 4-cylinder, engine that achieves 21-mpg in the city and 28-mpg on the highway. an Automatic transmission is standard. The $52,850 R-Dynamic HSE is equipped with a standard 2.0L, 4-cylinder, engine that achieves 21-mpg in the city and 27-mpg on the highway. an Automatic transmission is standard. Jaguar builds luxury sedans and grand touring cars with an emphasis on performance driving, and is headquartered in Coventry, England even though it is now paired with Land Rover as a wholly owned subsidiary of India’s Tata Motors Limited. Though an Indian company now owns Jaguar, the cars are still designed, engineered, and built in England. Since 1999, when Autobytel began gathering Jaguar pictures for its online photo galleries, the company has introduced four new models: the S-Type, the X-Type, the XF, and the F-Type. Before Tata acquired Jaguar, the iconic brand was owned by Ford, which, as might be evident in our Jaguar photos, based the S-Type and X-Type models on Ford platforms that were wrapped in classic Jaguar styling. After Tata bought Jaguar in 2008, the brand cancelled the entry-level X-Type model and replaced the S-Type with the XF. As is reflected in our collection of Jaguar images, the XF cemented a change in design direction for the automaker, one that started with the introduction of the 2006 Jaguar XK. Gone were the classic, retro designs favored by Ford. In their place, Jaguars wore cleaner styling, and when the heavily restyled XJ and updated versions of the XF and XK arrived, the transformation was complete. More recently, Jaguar is attempting to re-establish itself as a purveyor of genuine sports cars with the new F-Type. This 2-seat roadster joins the XF sedan, XJ sedan, and XK grand touring cars in what is an expanding lineup that is likely to include an SUV and a new entry-level model designed to take on the BMW 3 Series and Mercedes-Benz C-Class.